1. Blend all the ingredients except 1 tbs of coffee syrup at high speed till the mixture becomes frothy. 2. Make a Topping with remaining 1 tbs of coffee syrup. 3. Serve it chill and enjoy!!! I am sending this to HRH-Healthy Summer @ my blog. Aw! This is my favourite drink. This gives so much energy in the morning, looks lovely. 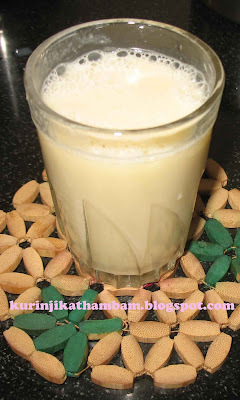 Woww wonderful shake, feel like finishing that whole glass rite now..
Nice one for the summer... will send my entry soon, as I am travelling tomorrow. Plz collect FOOD MAZAA AWARD from my blog. wow.. this is the best combo.. i love coffee flavored drink.. super!